The controller not working issue has been plaguing people using a PlayStation DualShock4 controller with DS4Windows. Namely, most of them can just barely move their characters, and the camera keeps spinning around uncontrollably. There’s a number of possible things causing this issue, from your DS4Windows not being up-to-date, to Nvidia, to Steam’s controller settings for Sekiro. That said, here’s our Sekiro Controller Not Working – How to Fix PS4 & DS4 Issue guide to hopefully help you solve this problem. How to Fix Sekiro DS4Windows Issue with PS4 Controller? To fix the issue with the PlayStation DualShock4 controller not working with DS4Windows in Sekiro, there are several avenues that you can take. The first one is to make sure that you have the newest version of DS4Windows installed. Then, in the settings, make sure to select the Hide DS4 Controller option. Reboot the game and see if it works. On the other hand, it might be something on Steam that’s causing the issue. Go into your Steam library, and select Sekiro. In the menu on the left, click Manage Game, and then Controller Settings. Select the Gyro option in the middle, and set it to nothing. Or find any button that’s mapped to Mouse, and make sure to map them to noting. Alternatively, you can search for and download the top community profile PS4 pad; that should solve it. You might need to switch the position of the X and Circle buttons. Or, it could be Nvidia causing troubles. If nothing above has worked, go into the Task Manager, then to services. Right-click on NvContainerLocalSystem, and stop it. And, while you’re fiddling with it, you might also want to open Nvidia Experience and turn off In-Game Overlay. To tie it all together, here’s a method described by Reddit user xhrequest: Download the latest version of DS4Windows, turn off Steam gamepad emulation, disable the In-Game overlay in Nvidia Experience, select Hide DS4 Controller in the DS4Windows settings, and reboot the game. You should be good to go. 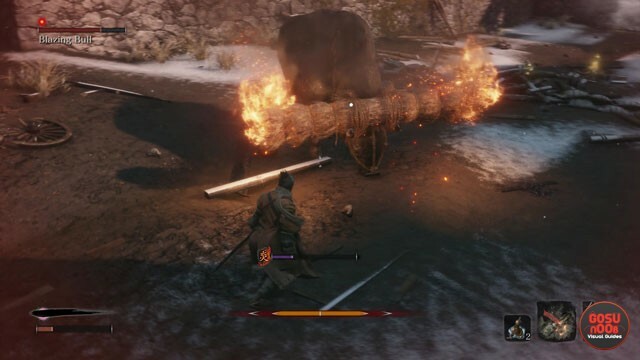 If you need further help with Sekiro, feel free to browse our other guides, including Rats Hunting Quest – Tengu of Ashina and Chest Locations – Secret Treasure Chests with Important Loot. Yeah this didnt work, tried all that. No matter what I do: Enable / disable HID, turn off nvidia overlay, disable localservice, use ds4 windows (hide ds4), turn off and on steam controller support, apply configurations, etc. Still Xbox prompts, real annoying. This really works, thanks lot. All I had to do was disable the In-Game overlay in Nvidia Experience, select Hide DS4 Controller in the DS4Windows settings, and reboot the game.